I never thought I'd be converted from leggings but as the weeks go on I seem to hate leggings more and more and love patterned trousers more and more! Ever since about London Fashion Week (check out the post here) I've absolutely loved patterned trousers. 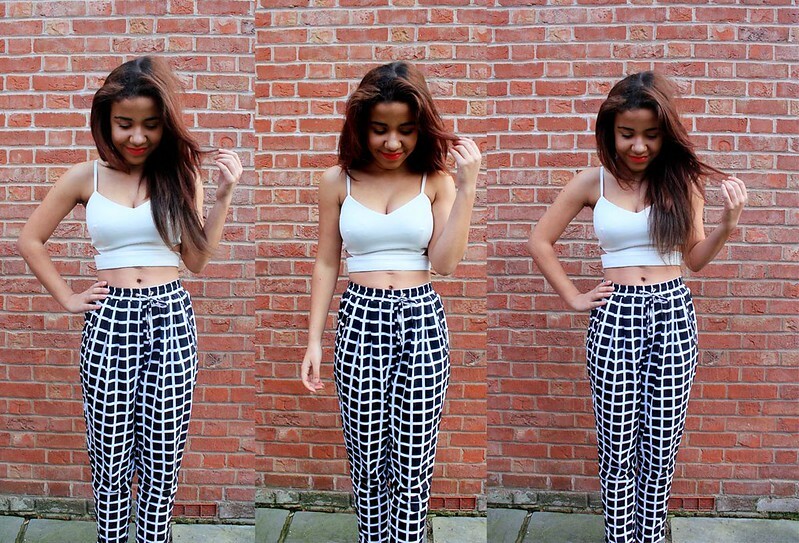 My favourite being these trousers from Missguided! I think the second time I stayed over at Lucy's she had got these trousers and i just fell in love with them. I ordered a pair as soon as I got home! 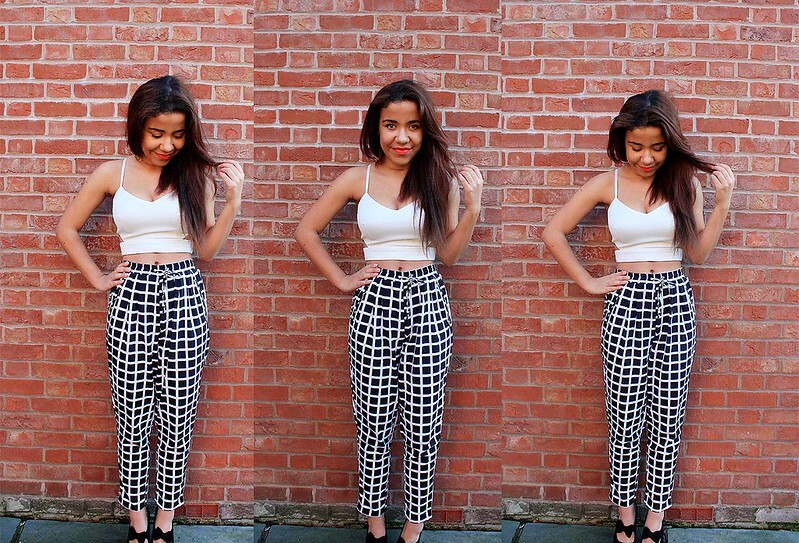 Monochrome Square Print Trousers - Missguided(*) Whenever I go out clubbing or just at night with friends I can't help but wear these trousers (or the reverse patterned version) as they are so comfy, easy to wear and they make you stand out too! I love how you can wear these trousers with a fluffy jumper (I love this one) over the top with a pair of winter boots and a coat for a perfect day time look! 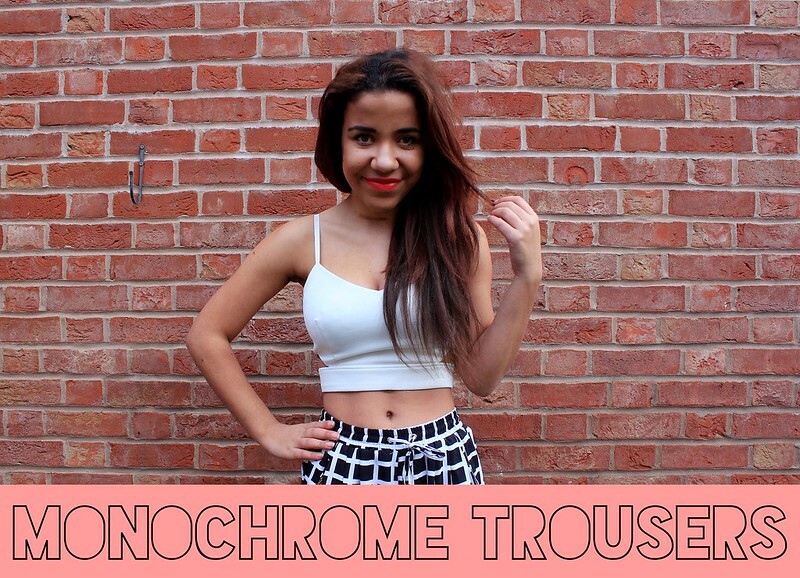 Monochrome Square Print Trousers - Missguided(*) For night time I love wearing them with simple bralet crop tops, a bright lipstick and big clutch bag and heels! I think this is a great outfit and that it will suit so many different body shapes. I love how with these trousers you can pair them with a simple crop top which you wore in the summer to update your look! Monochrome Square Print Trousers - Missguided(*) I'm a massive fan of all printed 'peg leg' style trousers now and currently have my eye on this pair which I think would be a perfect transitioning pair which would lead you from spring to summer but of course you could totally rock a pair of them now! Another way I like to wear these types of trousers is with a simple white cami top (I have this one) and a bright coloured blazer! I think these trousers are also really great work attire for the office too. They could easily be worn with a simple white shirt/blouse and a pair of simple heels! What do you think of this outfit? How would you wear these trousers? Twitter//Instagram//Facebook Shop The Post! I received some patterned trousers for Christmas and I was unsure whether they suited me and what I could wear them with. This post defiantly gave me some ideas. Thank you. obsessed with these trouser! Totally buying a pair just like them! !